Makin' it in Memphis: I'm loving.. 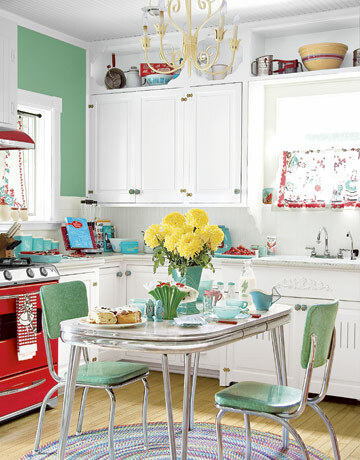 I love the red stove, the aqua/red combo, the little touches around the counter, the farm sink, the display above the cabinets, I love it all. PS - why can't my kitchen have that much light in it?